Move over Gary Woodland, Amy Bockerstette’s got it from here. Not familiar with Amy Bockerstette? Let’s start with, Amy was the first person with down syndrome to receive a college athletics scholarship in America. Ever. No big deal…. Amy plays out of Paradise Vally Community College in Arizona, and on Wednesday at the Waste Management Phoenix Open, Amy got the chance to live out a dream and tip it up with the pros. What better setting than 16 at TPC Scottsdale’s Stadium course, a course I have played myself roughly 10 years ago and it took me two to get out of the same bunker, resulting in a bogey. Amy, on the other hand, made it look easy. You’re going to learn very quickly in this video there’s not much that phases Amy Bockerstette, she’s got shots for days. 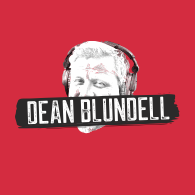 Enjoy the story of the week, as we hit you right in the feels, here at DeanBlundell.com. Let’s hope Gary Woodland returns the favour and wins one for Amy this week.